Located on Te Atatu Peninsula, Harbourview – Orangihina offers something truly special. As you wander along the all weather path to the south, or meander along our gravel track to the north, breathe in the salty sea air as you look out over the Waitemata Harbour. Take in the uninterrupted panoramic views of Auckland City, the Harbour Bridge and Rangitoto from the resting places. For an experience of the entire peninsula Harbourview – Orangihina offers a perfect starting point for the Te Atatu Peninsula Walkway a meandering track that follows the changing coastline of the peninsula from the Waitemata Harbour to the mouth of the Henderson Creek. Harbourview – Orangihina is home to a number of historic sites, time is captured in archaeological middens from early Maori occupation, to historic villas, brickwork remnants and World War II gun emplacements. Specially created wetlands on the lower terrace at Harbourview – Orangihina offer habitat to an abundant wildlife which include the world travelling godwit, the rare and shy fernbird and the kokopu, a stream fish native to New Zealand. Wide open spaces, panoramic views and bracing sea air makes this a great place to escape to. The Harbourview walkway wends its way past two historic homes, over several small creeks, and leads you down and around some specially created water features. There are boardwalks and a picnic platform out over the water at Harbourview Reserve. 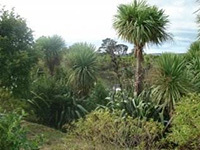 Special inhabitants of Harbourview include the rare and shy fernbird, kokopu (a native fish found in the streams) and godwits – world travelling birds who visit the shell banks off the peninsula. As you wander, take in the panoramic views; the harbour, the cityscape in the distance and, beyond, Auckland’s icon, Rangitoto Island. 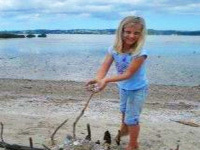 Head to Te Atatu Peninsula. Take Harbourview Road or Waikura Dr, Riverstone Rd, Longbush Rd, Provence Esplanade, Danica Esplanade or turn off Te Atatu Rd just past the roundabout. You’ll be able to walk around the entire peninsula when completed, however, sections you can do now are: The 20 minute Harbourview Reserve walk has stunning views across a wetland and the Waitemata Harbour. 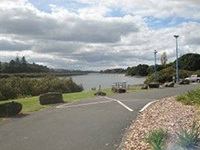 Spinnaker & Kelvin Strand walk takes 10 minutes and follows a coastal wetland and a sandy beach to view West Harbour Marina. Chapman Strand follows a seawall to the Te Atatu Boat Club. A 20-minute loop walk around Taipari Strand, has views of mangroves and coastal bush. Gloria Park provides access to a short bush walk in Springbank Esplanade. From West Coast Road, Parrs Cross Road or Benita Place, Glen Eden. And a City view too! Harbourview is for those who love cityscapes and panoramic views of the harbour. The light and weather constantly alter the scene. 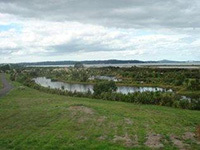 A walkway leads you along Te Atatu Peninsula just above the wetland where wildlife abounds. Spot some of the heritage sites along the way: two historic homes, and midden from early Maori occupation. There is a lookout over the water for watching the birds and plenty of places to rest, relax and take in the view. Chapman Strand (R), Spinnaker Strand (W), Kelvin Strand (R) and Taipari Strand (Jetty, P, T, W) are all sections of a beautiful coastal walkway around Te Atatu Peninsula. Harbour View Road, via Danica Esplanade or Te Atatu Road – just off the roundabout. NB: it takes about twenty minutes to walk from the South to the North end of walkway. 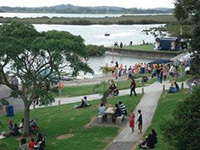 Taipari Strand, on the western side of Te Atatu Peninsula looks over the Henderson Creek with many opportunities for water skiers, rowers, canoers, kayakers and yachties to launch from the safety of the boat ramps with plenty of parking. An extensive track network allows you to explore the park with a playground for the kids. Contact the Waitemata Rowing Club, Kenley Water Ski Club or the Waitemata Canoe and Multisport Club for further information. A peaceful spot to enjoy extensive views across the Waitemata Harbour to Auckland City’s skyline. A great spot for a picnic. A bridge allows walkers to pass through the mangrove coastal forest to Dawnhaven Esplanade and beyond. Continuing on from Kelvin Strand, walkers can enjoy outstanding sea views from the beach at the end of Beach Road or Spinnaker Drive in Te Atatu Peninsula. Located at the northern tip of Te Atatu Peninsula, Chapman Strand provides a safe haven for launching boats or even keen swimmers. The Taikata sailing club welcomes new members.